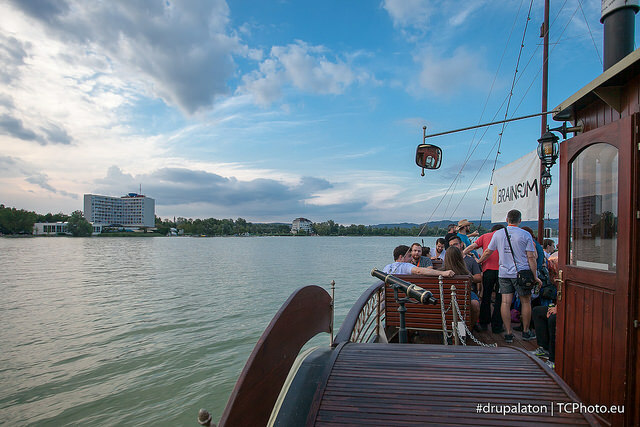 Drupalaton 2014 was amazing. I got involved pretty late in the organization when we added sprinting capacity on all four days, but I must say doing that was well worth it. While the pre-planned schedule of the event focused on longer full day and half day workshops on business English, automation, rules, commerce, multilingual, etc. 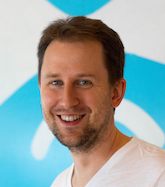 the sprint was thriving with backend developer luminaries such as Wim Leers, dawehner, fago, swentel, pfrennsen, dasjo as well as sizable frontend crew such as mortendk, lewisnyman, rteijeiro, emmamaria, etc. This setup allowed us to work on a very wide range of issues. 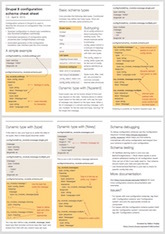 The list of 70+ issues we worked on shows our work on the drupal.org infrastructure, numerous frontend issues to clean up Drupal's markup, important performance problems, several release critical issues and significant work on all three non-postponed beta blockers at the time. Our coordinated timing with the TCDrupal sprints really helped in working on some of the same issues together. We successfully closed one of the beta blockers shortly after the sprint thanks to coordinated efforts between the two events. Our list of issues also shows the success of the Rules training on the first day in bringing new people in to porting Rules components, as well as work on other important contributed modules: fixing issues with the Git deploy module's Drupal 8 port and work on the Drupal 8 version of CAPTCHA. Thanks to the organizers, the sponsors of the event including the Drupal Association Community Cultivation Grants program for enabling us to have some of the most important Drupal developers work together on pressing issues, eat healthy and have fun on the way. Ps. There is never a lack of opportunity to work with these amazing people. 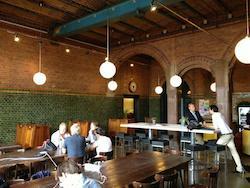 Several days of sprints are coming up around DrupalCon Amsterdam in a little over a month! The weekend sprint locations before/after the DrupalCon days are also really cool! See you there! There is no excuse to not attend some of the sprints at and around DrupalCon. Sprints start two days ahead of the start of the conference on Saturday the week before. And there are still sprints going on the Sunday after the conference. It is not just the last day of DrupalCon itself where you can get involved and make a difference. In fact the leads are actually focusing more on the sprint on the weekend days. Also the weekend sprints are in a really cool venue. The best way to learn is to do! You are looking for more of a directed guide of Drupal 8 still with the possibility to do it all hands-on? Look no further than the Drupal 8 multilingual hands-on lab presented by Aimee Degnan of Hook42 and myself from Acquia. The schedule info is a bit misleading, this session spans two timeslots and lasts two hours. Bring your laptop with Drupal 8 freshly installed! Dive deeper into the APIs of Drupal 8! Francesco Placella from Tag1 presents Multilingual Content in D8: a Highly Evolved Permutated API showing how to code with the new system. While not strictly multilingual, in Field API is dead. Long live Entity Field API! swentel, yched and amateescu show how the most essential content element storage system changed and this is full of multilingual support of course. Multilingual Site Setup and Management is a half hour session from Robert Vandenberg and Rob Bailey of Lingotek back to back with Building a multilingual & multi-country e-commerce site for luxury brands another half hour talk from Arthur Murauskas of Adyax with real life examples. Dagmar Muth and Urs Bucher from Amazee Labs are presenting Building a Multilingual, Multidomain Drupal Site synthesizing their experience from multiple customers. I proposed the Multilingual therapy (questions and answers) BoF again! Waiting experienced folks as well as everyone with questions. You'll see even if you arrive with several questions, you can answer others! There is no set agenda, just to answer all the questions! The localize.drupal.org site seriously needs people who care about it enough to devote time to maintaining and fixing bugs. I set up one more BoF to gather people interesting in the well-being of this site titled We love localize.drupal.org. We need to upgrade to Drupal 7, support the whole range of new Drupal 8 APIs, drastically improve performance and then get new features going. These are all the multilingual pieces that I collected. There may still be more, BoF scheduling just started and I may have missed a session or two. 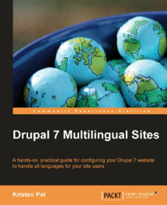 Let us know in the comments what other great events happen around multilingual Drupal. See you in Amsterdam! Drupal.org provides an amazingly flexible issue queue and is the backbone of most community activity around code, community, policies, drupal.org itself and so on. Each issue has a priority value which can be one of Critical, Major, Normal and Minor. Even more interesting is the tagging system we use with some commonly used tags like 'beta blocker' or 'beta target' or 'revisit before release' which add extra priority on top of the single value field. The drupal.org issues however don't lend themselves to supporting working on your priorities. Here are some options and tools I used so far that help solve this issue. 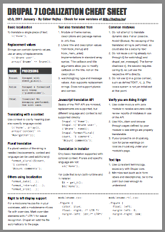 We learned how configuration translation works on the conceptual level and through the Drupal 8 built-in user interfaces in the previous article of the series. In this article, we'll cover how can developers integrate with configuration translation. There are clearly some translatable elements here. Which ones? Well, at least the site name and slogan would be. How would Drupal know though? There is nothing in this file to tell Drupal about that. There is also no code in handling this configuration that needs to deal with that. We wanted to introduce language support in the most transparent way. Instead Drupal supports a static description format to describe the structure of configuration, that we call configuration schema.